Are You a Mother or a Martyr? How Much is Too Much When “Doing” for Your Child? Without even realizing it, well-meaning parents can turn into martyrs for their kids. I’ve worked with many of them. One woman, I’ll call her “Karen,” stands out. When I met Karen, she was exhausted and frustrated, because she’d been fighting the school, her family and everyone else since her son “Kyle” was born. He had a learning disability and behavioral problems, and by the time he was fifteen, he’d learned that he didn’t have to work very hard to get through the day. For his mother, it was a different story. She worked extra hard to make sure her son was not distressed in any way, ever. From getting him out of bed in the morning to doing his homework for him to making amends after his outbursts at school, she was doing most of the things he should have learned to do as he grew into adolescence. By the time the family came to me, Karen was burnt out and rightly concerned that her son, who had gone from getting kicked out of school to getting into trouble with the law, was on a very dangerous path. What I told her is what I’ll tell you: being a martyr is not about being a good parent or a bad parent. It’s simply ineffective in helping your child master the developmental tasks at hand. If you’re a martyr parent who does everything for your child, it’s important that you learn to stop playing that role and start teaching your child real responsibility. I want to be clear: the martyr parent is not the parent who simply does a lot for their kids or with their kids. The soccer mom who takes her kids to soccer games and then swings around to pick up her daughter at her part-time job—that isn’t a martyr. The father who, instead of golfing on Saturdays, goes to his son’s baseball game and then goes out with the team afterwards for pizza is also not a martyr. The term “martyr” instead refers to a type of parenting which has some very specific characteristics. What is a Martyr Parent? Martyr parents have two big fears: that their child will get discouraged and give up, or that their child will act out behaviorally. Martyrs are often the parents who have a lot of anxiety if their children feel any discomfort or distress in daily life activities. These are the parents who constantly worry that their child is not going to feel good enough about themselves, and in pursuit of developing their child’s self-esteem, they undermine development of his or her coping skills. How do children develop coping skills? By dealing with adversity—and I’m not talking about artificial adversity as controlled by the parent, I’m talking about the real distress that happens when a kid has a ton of homework and he can’t get it done because of soccer practice, or has chores to do around the house but hasn’t completed them because he’s been playing video games, or has broken some rule in school and now must face the unpleasant consequences. When a child is in distress because they have too much homework, it’s the parent’s job to help them schedule their schoolwork and regulate themselves so that they can accomplish the same tasks as their classmates, given that they have the same abilities. If a child breaks rules in school, the parent’s job is to help the child learn from the experience, not get out of having to pay the consequences. For instance, when a martyr parent perceives their child to be distressed by a large amount of homework, they will choose to fight with the school to make things less stressful for the child, or they simply do the work themselves. Granted, there are some cases where teachers and schools go too far, but by-and-large, kids have a lot of homework because there’s a lot to learn. The fact is, a lot is asked of kids today, but life’s demands are great, and today’s children are not only competing with their peers here, they’re competing with the world. The martyr parent senses that, but tries to solve this problem by shielding their child in different ways from the pressures of twenty-first-century living, up to and including doing the work for them. Similarly, when these parents have kids who behaviorally act out, they try to rearrange the child’s world in the hope that the absence of stressors will lead to less acting out. But remember, less acting out does not equal more coping skills. First, parents who are in the martyr role are teaching their children to be helpless. They are trying to protect their kids from the very stimulation their kids need to develop their education as well as their social coping skills. Consequently, kids with disruptive behaviors don’t learn the problem-solving skills they need to get through life. You see this a lot with parents of kids with behavior problems or learning disabilities. They spend much of their time trying to control situations that will trigger their child’s disruptive behavior. While this may feel natural to the parent, in actuality, the child learns that the less behavioral ability he shows, the less will be asked of him. It’s a concept called “learned helplessness.” He can always turn to others to solve the problem or take away the distressful situation. The sad truth is that these children don’t grow emotionally or behaviorally, and you’ll see their disruptive behavior played out into adolescence and adulthood. 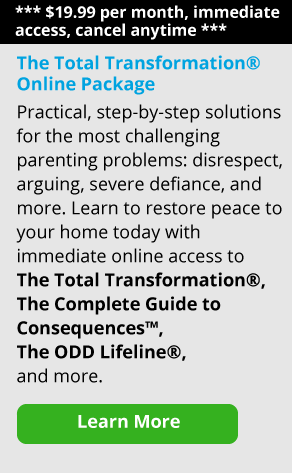 You’ll also see the parent continue to play the martyr when their children become adults, constantly overdoing and picking up after every misstep to “keep them out of trouble.” Unfortunately, the need for a child in this situation to develop problem-solving and stress management skills is even greater than that of their well-behaved counterparts. In my opinion, parents who are doing too much for their children need a lot of guidance in how to help their kids manage stress—or distress—and still develop the problem-solving skills they need to be competitive. The second reason martyr parenting is ineffective is that the parent is forced to constantly lower expectations and accept less and less from the child. So when the child doesn’t fulfill obligations, such as chores or homework, the parent lowers expectations and then praises him for his diminished efforts. Children learn that praise and approval don’t have to be earned—they can be demanded. Many of these kids get their praise and approval because their parents recognize that if they don’t lower expectations and approve of the child’s efforts, misbehavior will ensue. The third problem is that the more the martyr parent tries to insulate their child from distress, the more the child gets the implicit message that the parent has no confidence in them. When the child knows you’re constantly fighting with the school over how much homework he has, the implication that he’s going to read into that is, “My mom and dad really think that I’m incompetent.” The parent’s logic is, “If we make it easier on him, he’ll manage it better.” But the kid’s logic is, “Mom knows I can’t do as much as the other kids.” And the next step in that logic is, “I’m not as good as the other kids.” This is why special education efforts that aim to bolster the self-esteem of kids every day are so ineffective. The truth is that kids feel good about accomplishing things that are hard for them. When they have a lowered level of expectations, and in fact do many of the same tasks over and over again, they don’t feel good about themselves. It’s when they master new tasks—especially if there is distress—that their self-esteem develops. Parents who function in the martyr role inevitably wind up feeling isolated and alone. Of course you can’t protect your kids from all the distress of growing up. There are so many challenges, traps and pitfalls. My experience is that these parents are loving and caring people who are worried about their kids, but who manage their anxiety in an ineffective way. Of course, once kids start underperforming and learn that it’s OK to be helpless, they’re going to continue that pattern throughout adolescence and into adulthood. So the parent is forced to do more and more shielding and defending later and later in life. I worked with many parents who had gotten caught up in this role and didn’t know how to get out of it. I advised them to replace the martyr role with teaching, problem-solving and limit-setting tools. In my experience, without such tools, it is very difficult to switch roles.